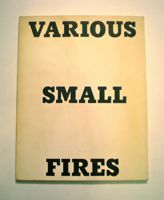 First Edition of Ed Ruscha’s 1964 artist book “Various Small Fires and Milk” – one of only 400 copies. 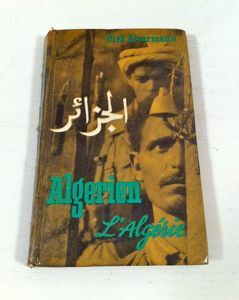 First Edition of Dirk Alvermann’s “Algerien/L’Algerie,” (1960) his extremely rare photobook documenting the Algerien struggle for independence. The entire book was reproduced in fascimile in 2011 for Martin Parr’s “Protest Box,” which was published by Steidl. 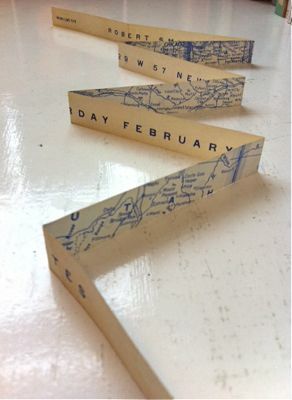 Dwan Gallery’s exhibition document “Boxes,” (1964) taking the form of a double-sided scroll that unravels from the box containing the document. 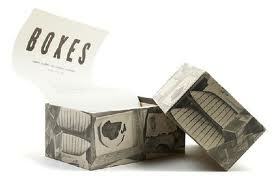 Over 35 key artists of the time are featured including Schwitters, Duchamp, Nevelson, Cornell, Rauschenberg and others, with images of their box-based work included in the exhibit. Exhibition flyer for Robert Smithson’s 1969 “MonoLake Site/Nonsites” exhibit (again at the influential Dwan Gallery). Accordion-fold, .75″ wide by x 34.25″ long. 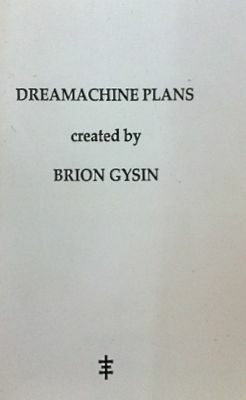 A rare copy of Brion Gysin’s “Dreamachine Plans,” a pamphlet of templates and instructions for building your own “dreamachine”. The dreamachine is thought to be the first instrument built to be “viewed” with your eyes closed, and is claimed to allow the “viewer” to enter a hypnagogic state. “Some More Beginnings: Experiments in Art & Technology”, (1968). Oversize exhibition document/catalog from this groundbreaking exhibit at the Brooklyn Museum organized by Billy Kluver and E.A.T. 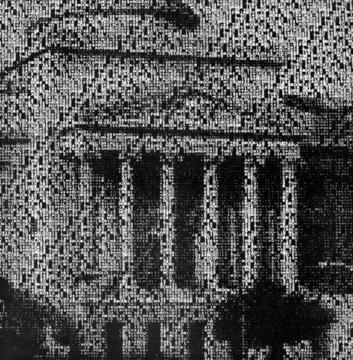 that fostered collaboration between artists and engineers from around the world. Held in conjunction with the famous “Machine” exhibit at MoMA. 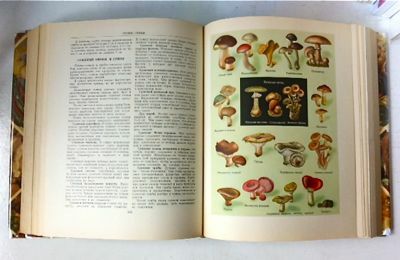 Russian Culinary Encyclopedia (in Russian) from 1955, covering all aspects of Russian culinary preparation and production, with amazing color plates. 960 pages. 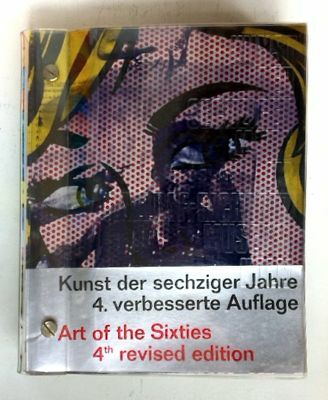 “Kunst der Sechziger Jahre im Sammlung” or “Art of the Sixties” (Fourth Revised of Five Editions), where the higher editions become more complete and include more artists/pages. Plexiglas spine with thick stamped clear acrylic covers and bound with stainless steel screws. Approx. 500 pages, including thin styrofoam, graph paper, screenprinted acetate/mylar sheets and overlays, brown kraft pages and tipped-in color plates of works by over 90 artists of the era, including Beuys, Serra, Twombly, Hesse, Fontana, Judd, Richter, Kusama, Tapies, Nevelson and others.